For the past twelve years, Orit Harpaz has beautifully documented what we do at PLAY. She has also photographed many PLAY families privately, often revisiting them each year. Orit offers private sessions year round, and occasional Family Portrait Days, which are posted here when they’re approaching. Please contact Orit directly with your questions and to book your appointment. View Orit’s work on our library wall at PLAY and at her website. 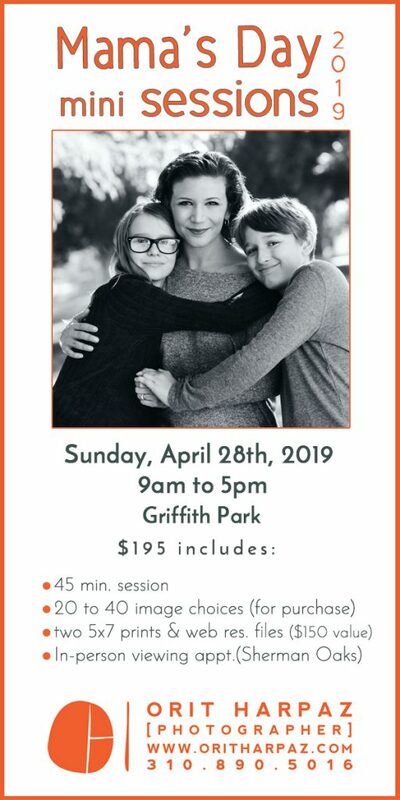 To sign-up for Mama’s Day mini-sessions through Orit’s booking link, please CLICK HERE.